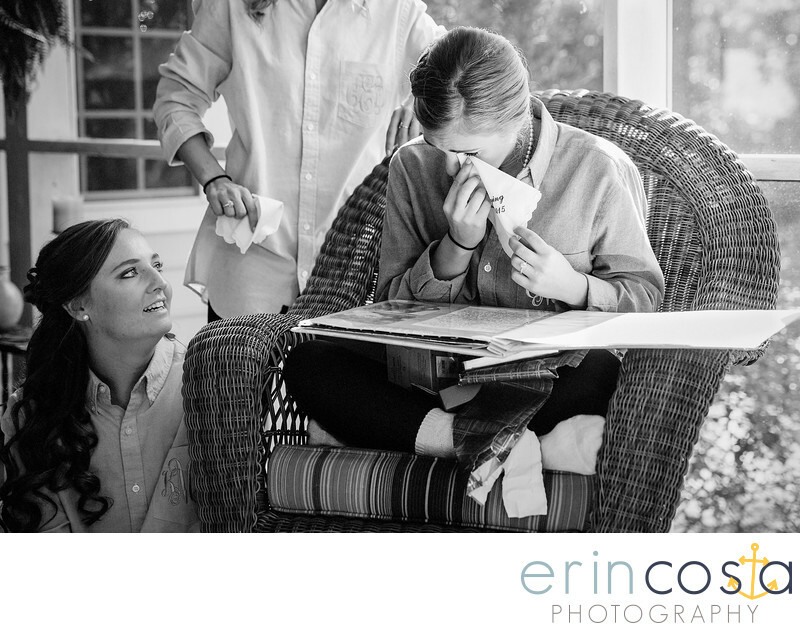 Caitlin had gifted her bridesmaids with hankies that said "No Ugly Crying". Little did she know just a few minutes later, that hanky would come in handy when her bridesmaids surprised her with a scrapbook of memories from her childhood on. This moment was captured in Wilmington right before Caitlin's wedding at the Brooklyn Arts Center downtown. We love this precious moment!